The Qatar e-Government 2020 Strategy which HE Prime Minister Sheikh Abdullah bin Nasser bin Khalifa Al Thani launched earlier Monday when inaugurating the third edition of Qatar’s annual ICT conference and exhibition “QITCOM 2014” at the Qatar National Convention Centre (QNCC) would make it impossible to envision Qatar’s digital future without embracing technology, to create a more efficient, effective, accessible and transparent government that meets the needs of individuals and businesses. The Qatari citizens , the residents and visitors as well will be able to access e-government services that are characterised with simplicity , safety, high quality which are available at any time and anywhere. Qatar e-Government 2020 strategy, “Qatar e-Government 2020” will benefit everyone. Members of the public – whether they are citizens, residents or visitors – will be able to access e-Government services that are simple, secure, and available anytime, anywhere. The population has doubled in recent years and is expected to reach 2.5 million by 2022, and the government places a high priority on meeting the needs of people in Qatar, and making the best use of rapidly changing technology, now and in the future. Businesses and private organizations will find it easier, simpler, and faster to register and operate a business. Qatar’s Strategy for economic diversification relies on creating the right environment for investment and businesses, and removing any barriers to doing business, so that the economy can continue to grow and develop. Government entities will be confident they are providing better services to people and businesses, are more efficient, and are achieving better overall outcomes for the nation. The result is savings in public administration due to e-Government, and time savings to citizens and other users. 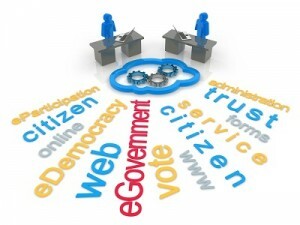 Beyond cost and time savings, e-Government also creates greater transparency and higher-quality outcomes. All over the world, governments are providing more and more information and services online as well as automating their own processes to provide value to customers, help spur economic development, and create more interactive relationships with the people they serve. As e-Government efforts expand, the demand for more user-friendly, ‘anytime, anywhere’ access to government and its services will continue to increase. For her part, HE Dr. Hessa Al-Jaber, the Minister of Information and Communications Technology said that the e-Government uses technology to deliver real benefits for people who access government services. This will involve making more transactions available online, simplifying websites to make them easier to use, and creating innovative new applications that improve people’s lives. That is why Ministries across Qatar’s government have joined together to accelerate e-Government initiatives. In late 2013, HE Prime Minister Sheikh Abdullah bin Nasser bin Khalifa Al Thani identified e-Government as a priority and formed a Steering Committee, spearheaded by the Ministry of Information and Communications Technology and composed of 8 of the largest ministries, HE Dr. Hessa Al-Jaber said. The Committee was charged with developing and guiding the implementation of a nationwide e-Government strategy. Qatar e-Government 2020 is the result of the Committee’s efforts. The strategy, outlined in the pages of this document, has one overarching vision — “All individuals and businesses will benefit from connecting online with Qatar’s more open and efficient government”. This strategy applies to all government entities and builds on the progress made over the past several years since Qatar’s i-Gov program was established. Our work has been driven by the mandate of the five-year National ICT Plan – to achieve wide accessibility and effectiveness of key government services through innovative ICT applications, new transactional online services, creating greater awareness of these services among individuals and businesses. All around the world, technology is enhancing people’s everyday lives. Technology allows us to do the things we need to get done in ways that are simpler, easier and faster than ever before. For governments, technology offers new opportunities to connect with, and meet the needs of, members of the public and the business world, while also giving government employees the tools they need to build a world-class civil service that is more efficient, open and innovative, the minister noted.